St. George’s is celebrating its 125th anniversary of being a centre for Anglican worship and ministry in Allandale. Save the weekend of September 23 – 24 and come to our Anniversary Dinner (Sept.23) and Anniversary Service (Sept. 24). The Celebration 125 Committee is currently working on the details of these special occasions. Watch here for more details as they become available. 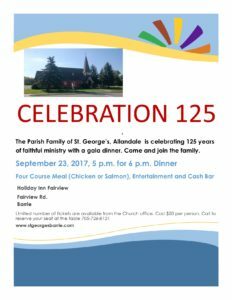 The Parish Family of St. George’s, Allandale is celebrating 125 years of faithful ministry with a gala dinner. Come and join the family. 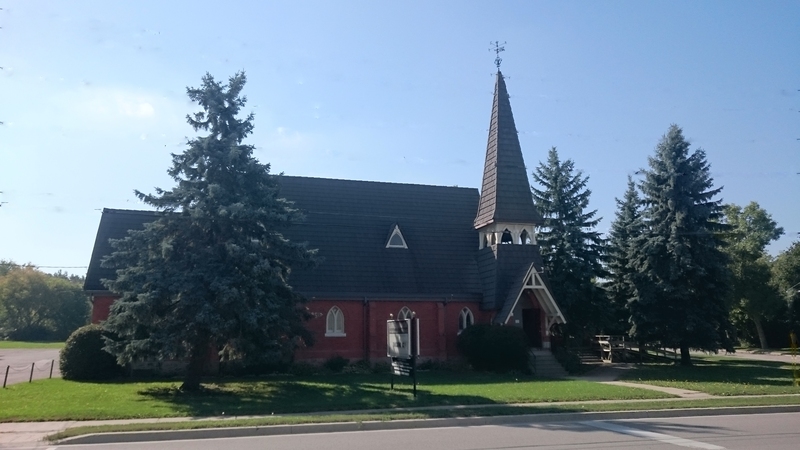 HISTORICAL NOTES: Check out the Historical Notes page to read about St. George’s journey and the key historical figures whose faithfulness to the Gospel enabled our community to grow and minister in the name of Jesus Christ.